Our Red Bag Senior Share wrapped up earlier this month after a summer full of fresh fruits and vegetables! 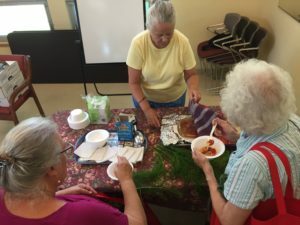 Fifty-five seniors gathered each Wednesday afternoon at the Northampton Senior Center to fill up their red bag and catch up with friends and volunteers. While many aspects of the program remained the same, including our five returning volunteers, some new ideas enhanced the experience for the seniors who participated. Based on feedback from last summer, we moved to a choice model, setting up a farmer’s market-like display where participants could browse and choose the items they wanted. They were each able to make 5 choices. We had a unique and generous deal with Crimson & Clover Farm who provided us with extra variety and quantity so that participants could have flexibility and choice in what they brought home. Don’t want lettuce this week? Take 2 tomatoes instead. There is dignity in being able to choose, and it was really great to be able to offer this to participants. We also added either fruit or corn every week, which were a huge hit. Ninety-five percent of seniors surveyed reported that they plan to participate again next summer. 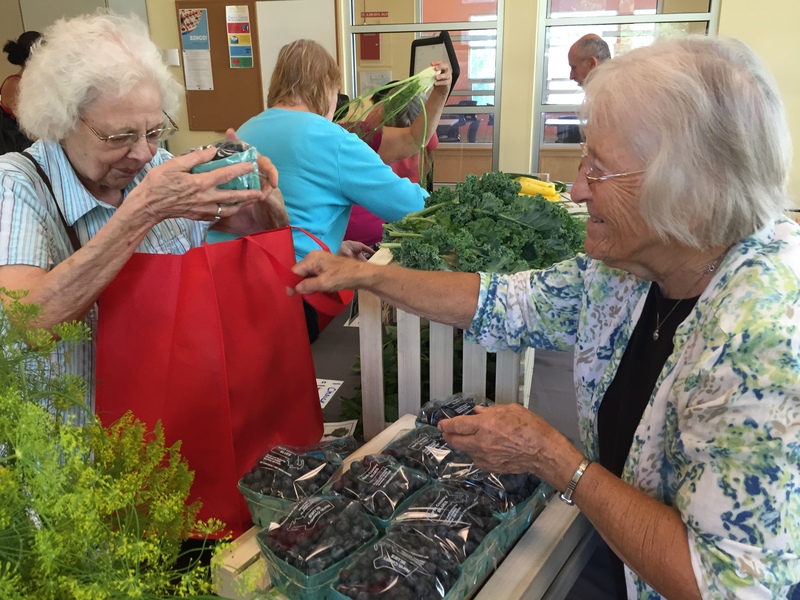 We continued to make the Red Bag Senior Share affordable with funding from the City of Northampton’s Whiting Street Fund, the Community Foundation of Western Massachusetts, Harvard Pilgrim Health Care, and the Rotary Club of Northampton. Just under half of this year’s participants were able to pay with SNAP and received a Healthy Incentives Program (HIP) reimbursement, making the share essentially free for them. Senior Share participants choose their produce and some flowers brought in by volunteer Mary! The positive outcomes of the Senior Share are sometimes subtle but often striking. A big issue in the elder community is isolation, so getting people out and interacting with each other is really important. 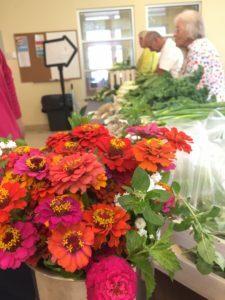 The new farmers’ market display provided a more interactive experience: participants spent more time with us as they chose their vegetables; volunteers did more hands on work restocking and helping participants and, in turn, we got to know people more and they got to know each other. Seventy percent of seniors reported that their diet had improved by participating. Special moments included Mary, who is 92 and often brought flowers and herbs from her garden to offer to participants as extras. We are honored to be able to facilitate this type of valuable connection.